While there are many different types of hair oils, one that has not been given much attention is amla oil. Amla oil is extracted from the Indian fruit called as Indian gooseberry or amla. This berry is green in color and is very beneficial in a number of ways. Along with being good for curing asthma, amla is very much useful for hair care as well. In current times, amla hair oil is used widely for getting a better quality of hair. The process of making amla hair oil is very easy. All you need to do is just crush a few amlas and immerse them in a base oil like coconut oil. Let them steep overnight. Then the next morning you must drain out the resultant liquid and use it as amla oil on your scalp. This will help in growing back hair and will also result in maintaining a good quality of hair at all times. This article helps you with the benefits and virtues that amla oil has. This includes information on all the useful ingredients that play a major role in providing adequate nourishment to your hair. We also explain to you how can use it for reducing disorders that are assumed to be untreatable. Read on to find out the different ways in which you can make use of this wonderful oil to have a rejuvenating effect on your hair. Amla oil contains fortifying elements that help it to make hair follicles stronger and is also a very effective hair conditioner. Amla oil also helps in increasing the rate of growth of hair and also helps get rid of itchy dandruff and rough scalp. This useful oil is rich in fatty acids and also contains high amounts of Vitamin C and other chemicals like flavonoids and polyphenols. It also contains the essential nutrients of carbohydrates, proteins, water, minerals, and vitamins. Some people have even stated that it helps in reducing greying of hair but the veracity of this claim is yet to be verified. Ayurvedic amla hair oil has been derived from Indian flora whose efficacy has been highlighted in the ancient treatises. In this way, it represents the highest level of knowledge of our great land. We need the rest of the world know its advantages also. Another unknown fact about amla oil is that it helps in reducing male pattern baldness that happens in men once they touch around 40. This is because it contains chemicals that inhibit the production of 5-alpha reductase that is responsible for this type of baldness that occurs in many men. In fact, many studies have shown that amla oil mimics the behavior of finasteride that is a useful medication for curing male pattern baldness. In this way, using amla oil for men helps in curing disorders that are assumed to be untreatable and can improve your hair health in a considerable way. The easiest way of using the best amla oil in India is to apply it after a shampoo. You can also use it as a conditioner by massaging it on your hair strands in a horizontal fashion. This will help you coat your hair in the correct way. Those with oily hair may not want to apply it directly to their scalp and may instead decide to apply the oil to the ends of their hair. You need to leave this on for a little more than 15 minutes and then you can make use of warm water to thoroughly rinse the hair. Those who are experts in Ayurveda insist that massaging the scalp with amla oil regularly helps in reducing dandruff and also moisturizes a dry scalp. The best thing to do is to massage the oil into your scalp every day and then rinse it off after 15 minutes. You can even leave it on overnight on the scalp and then wash it off when you have a bath. When you are doing this, you have to cover the pillows using old torn towels or you can wear a shower cap that will help in preventing the oil from staining your bed linen. As amla oil has a musky smell that is very strong, it should be used sparingly as a conditioner or styling oil. In contemporary times, amla oil is also included as an ingredient in shampoos. Also, a large number of amla powders contain the extract of amla in adequate proportions. You can also combine warm water with amla powder to get a well-blended paste. You can increase the softness and thickness of your hair by using this blend on your dry hair and use it as a hair treatment. In this way, you can have your own spa at home. While there are no side effects of amla oil, still it is better if you test a little oil on your skin before using this oil. It is better if you don’t use it for a prolonged period of time if you want to avoid allergies or irritation. There are some skin conditions that can occur if you use amla oil. Hence, use it liberally only on your hair. Take care to see that amla oil doesn’t enter your eyes. Avoid using it while taking a shower or in a bathtub. This is because it can make the bathroom slippery and can lead to accidents. Amla oil is found in most stores. 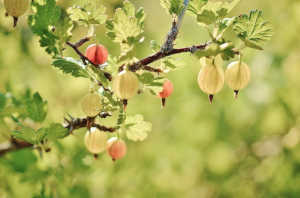 There are also many brands that have given a lot of importance to amla oil. You can use this best amla hair oil for getting good results. Most of these brands are Ayurvedic products. This is because Ayurveda specializes in using botanical extracts that are derived from the best places in India. Their use has also been acknowledged by Western countries recently. Regular topical usage of amla oil can help in moisturizing dry and frizzy hair. In this way, it can help in improving the growth of your hair very quickly and efficiently. So what are you waiting for? Just grab a new bottle of amla oil and see your tresses grow out to their maximum potential in the shortest time span!